Blog What is verified security? 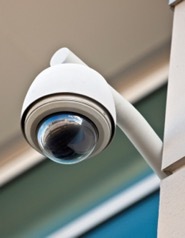 Security is often something that new businesses and homes overlook needing until it is too late. With so many different types of companies to choose from and types of services it can be a bit overwhelming to find the best fit for you. Something you should know before purchasing a security system is that roughly 95% of burglar alarms are false. Stray cats, inclement weather, and living or working in busy loud environments are all factors to consider when dealing with something like a false alarm. Police officers may be notified right away but due to the often ‘boy who cried wolf’ persona they often won’t show up to the scene until well after the criminal has left. With Sonitrol Pacific we don’t want to notify you that a break in just happened we want to stop it while it is in progress. How do we do that? With our verified security systems of course! When a potential break in occurs the audio and or video sends out a signal to our verification center that a disturbance has happened. Our highly trained operators then confirm if the threat is valid and puts in a call to police dispatch. Since the threat is verified, police response is quicker because they trust Sonitrol Pacific and know that the threat is real. Without verified security, it could be up to an hour until the authorities show up. However, with verified security, response time is typically around 8 minutes! Now that’s what I call protection! Sonitrol Pacific has been in the game for just over 40 years now! Our values to secure you and your assets continue to be the key factors in motivating us to be the best that we can be because you matter! If you are looking to take preventative measures to protect your home and or business, look no further than Sonitrol Pacific to find the right protection for you.